The seminars-and-papers contests are held by the forum so the students get used to speaking to people. This event aims at developing the presentation skills of the student. On behalf of technical forum, students delivered seminars on varius topics, which were quite informative. "Is scientifc development threat to religion development"
"Is computer science curse or boon"
"Will computer control humans in future"
"Are Indian political leaders really leaders"
In this event, students will be asked to a critical problem by using any software of their choice. A total of 34 registered their names for software contest. 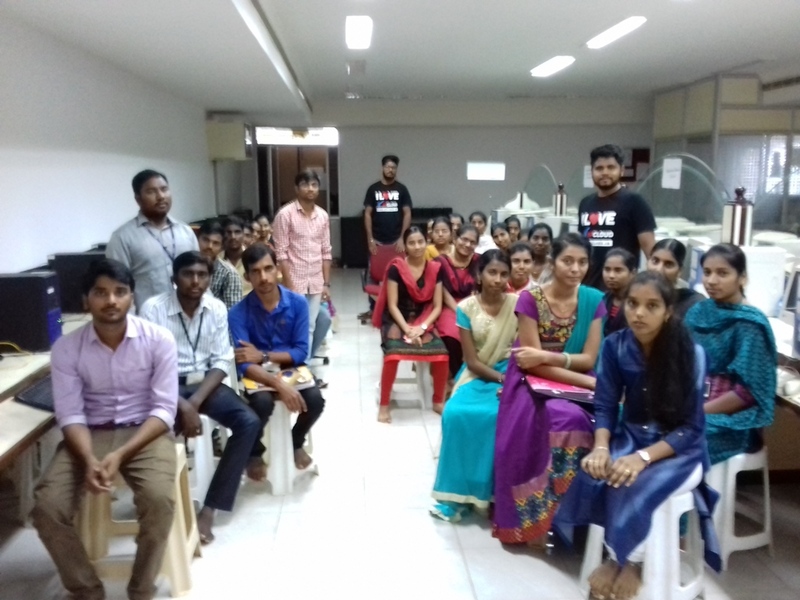 The topic given to III and IV year students with respect to this event was "Identification of middle element when we merge 2 sorted lists, without using merge sort"
In this event, students ought to discuss both the pros and cons of the specified topic for 2 minutes. A total of 91 students participated in this event. The Technical Quiz is a competition that brings out in the students the quality to recall the learning at the proper time and proper manner as fast as they can. Several rounds of questions will be asked to various groups of students in technical a subject, which not only improve knowledge but also develops competitive spirit. About 120 students participated in quiz competition. Forum conducted two types of Aptitude Tests, one is on techncial subjects and another is on analytical, quantitative and verbal. A total of 91 students participated in Aptitude Test. This event aims at educating outgoing students to perform well in their real time interviews by filtering through four phases namely, Written test, Group Discussion, Technical interview, and HR interview. About 75 students actively participated in mock Interviews by submitting their resumes.